It’s a question we hear all too often: should I buy an Acura ILX, or save some money and buy a loaded Honda Civic? After all, the thinking goes, they have similar driving feel, chassis tuning, and they’re practically the same weight. Well, the Civic has such a lofty reputation for a reason. It’s an annual best-seller, it’s reliable, safe, and satisfying to drive. But the ILX isn’t just a simple rebadge. While the best possible way to spell out the differences between the two is to take them on back-to-back test drives, there are several ways that the ILX separates itself from its little brother on paper. The Civic comes with a respectable 3 year/36,000 mile basic warranty. 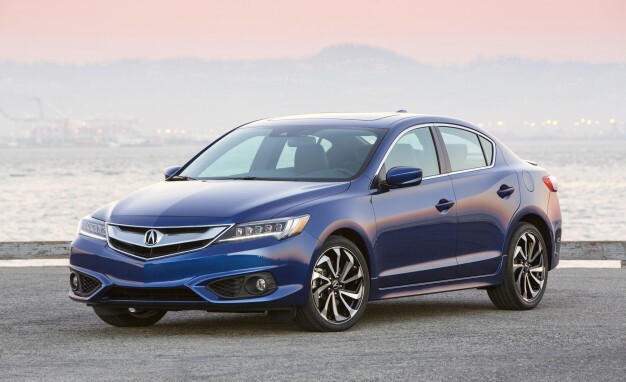 The ILX, on the other hand, comes with a 4 year/50,000 miles basic warranty. That’s one year or 14,000 miles more coverage on a higher-end vehicle. The Civic’s powertrain warranty is for 5 years/60,000 miles, as compared to 6 years/70,000 miles for the ILX. Even if you take the highest-end Civic money can buy, the 2016 Touring model, the ILX has a significant leg up in both horsepower (201 vs. 174) and torque (180 vs. 162.) Throw in the ILX’s 8-speed, dual-clutch transmission (compared to the Civic’s CVT) and you have a clear winner in drivability. Which feels like a pretty important point of comparison when you’re talking about cars. Acura is a luxury brand, and as such it has luxury dealerships. As Acura also produces fewer cars than Honda, chances are good that your local Acura dealership will provide you with both a more luxurious and less-frantic experience. Acura dealerships have become famous for their customer care, and your comfort and happiness during service appointments, oil changes, and, heaven forbid, emergencies is hard to put a price tag on. Acuras retain their value better than any luxury vehicle on the road. In an industry full of debatable claims and preferences, Acura can lay claim to an absolute truth that makes them a uniquely rewarding value proposition. When you consider the fact that the ILX is better than the Civic at retaining its value and costs only slightly more, the price difference that leads some customers to Honda in the first place evaporates. So, why would someone spend around $30,000 on an ILX when they could have a fully-loaded Civic for around $29,000? A better warranty, more power, a better transmission, better sales and service departments, more personalized customer care, and better resale value. But other than that, it’s a real toss-up.